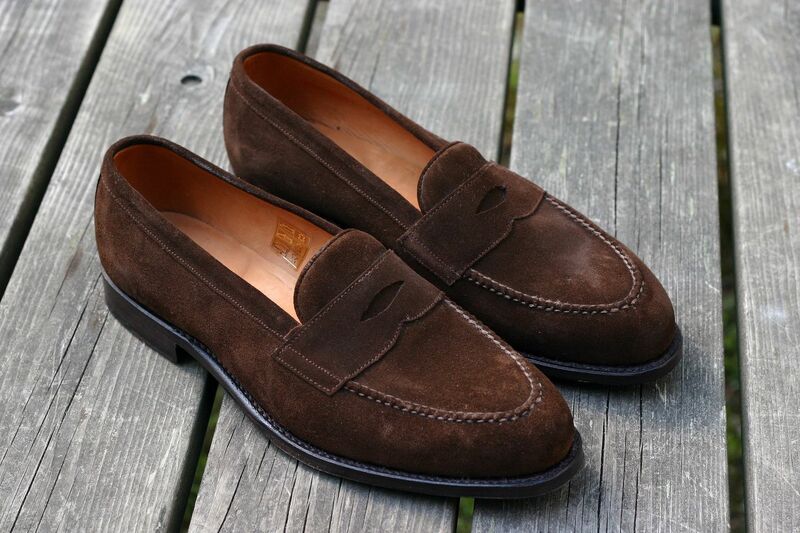 This week's item post will introduce a true classic, penny loafers in brown suede. 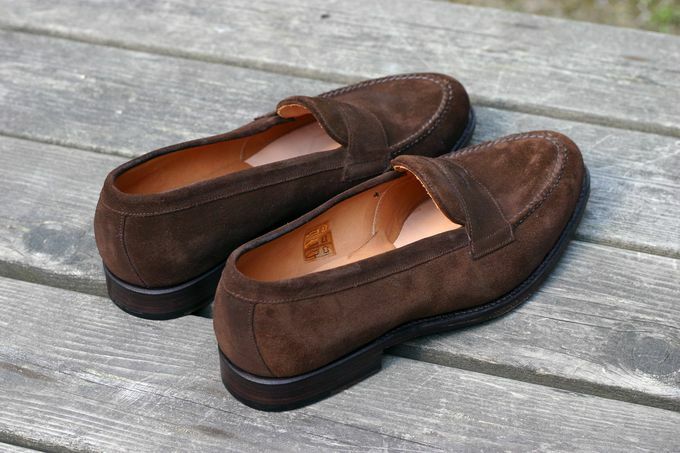 Personally for me in the right last this model is one of the most versatile shoe types for summer, and to be honest I can't believe it took me all this time to get a pair. 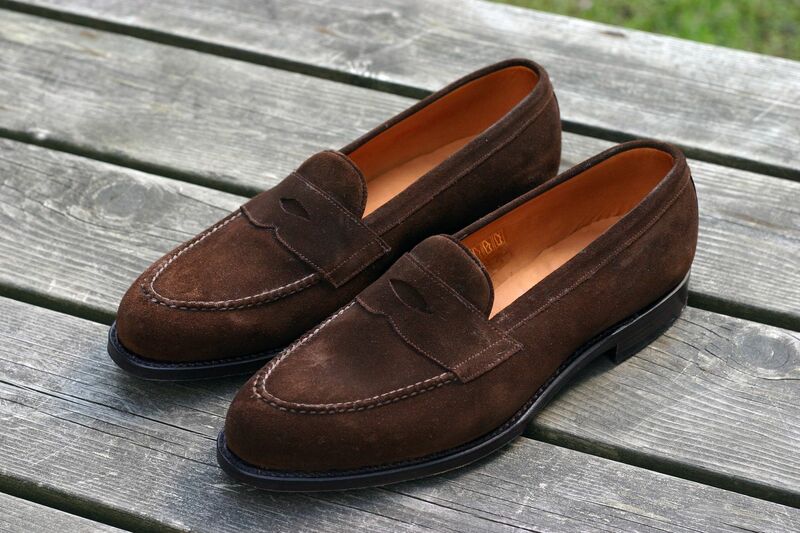 The brown calf tassel loafers I got from Septième Largeur earlier have been fantastic, and I've been thinking of getting the penny loafers SL makes in the same 9095 last. So, when I noticed they were on sale and in my size, I didn't need to think for long. My regular readers have already seen them in action for a few times, but here's a few shots I took before using them. The suede feels pretty good and actually these shoes are perhaps my most comfortable shoes I own. 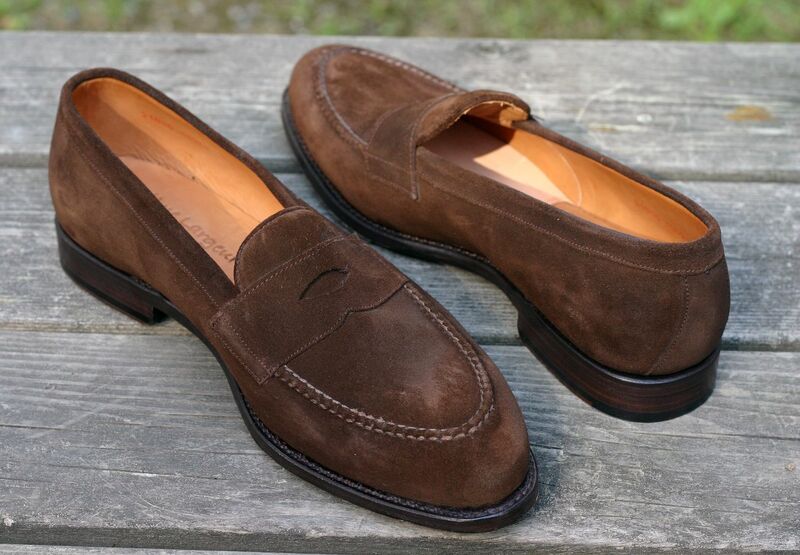 As with other Septième Largeur, the soles have channeled stitching and have been painted brown. Now, after nearly two weeks of using them, haven't noticed any problems, just normal minor wrinkling. And then the usual question, what to wear with them? Well, as I said before, these really are the shoe that can do nearly anything. From classic Ivy League to the modern menswear combinations one can spot in places like Milan or Florence, they can as easily pull off an urban street style look when the rest of the gear is done right. And there we go. The rest of the week will include a couple of outfits and perhaps another item review post, so stay tuned.